Craft beer has become popular all over the world in recent years, but it first started to gain real momentum in the Pacific Northwest – particularly in Portland, Oregon. This is due, in part, to the fact that the vast majority of the country’s hops production is located in the Pacific Northwest. Hot on Portland’s heels in the burgeoning craft beer scene was Seattle, Washington. Both of these cities are now known worldwide as pioneers of craft beer. Seattle truly embraces the beer culture, with dozens of beer festivals throughout the year, including the ever popular Seattle Beer Week, and with the growing popularity of home brewing. Portland has their own Craft Beer Festival, and PDX Beer Week, which they’ve deemed a “celebration of the world’s greatest beer city”. To say there is a bit of a rivalry between the two cities is an understatement. Although both are currently swarming with new breweries opening up seemingly every day. While Portland once had the largest number of breweries in the Pacific Northwest, a report published in 2017 by Datafiniti reveals that Seattle has more breweries than any other city in the country. Portland’s 133 breweries is hugely overshadowed now by Seattle’s 174 breweries. If you’ve never been to either of these fantastic beer cities, you’re lucky, because you have a clean slate on which to judge which is the best. Do you think you can choose a best beer city from these two powerhouses? Beer has long been considered a matter of taste preference. While I agree, I think the entire craft brewery experience should also be taken into consideration when choosing the King of beer in the Pacific Northwest. 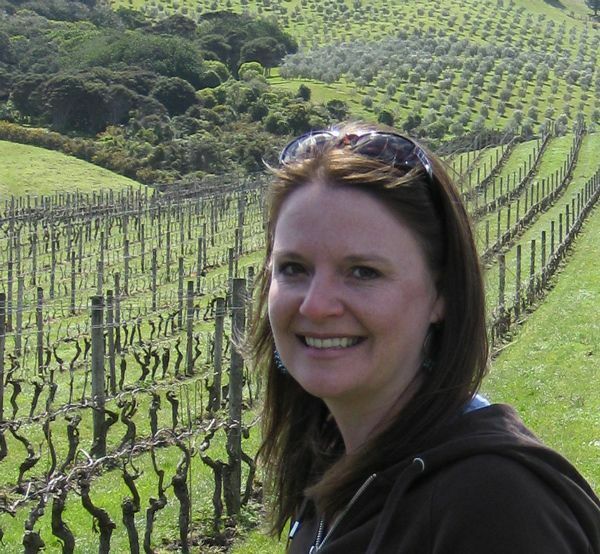 Seattle is well known for its abundance of craft breweries and its innovations in brewing. As we learned earlier, there are now nearly 200 breweries in Seattle that are making craft beer. But even with this large number of breweries, Washington State only has 4.6 breweries per 100K residents. (You’ll see a little later on that Oregon has even more). The good news is that many of these breweries are open to the public for tastings. On a weekend, a favored activities for Seattleites is to do a beer crawl. 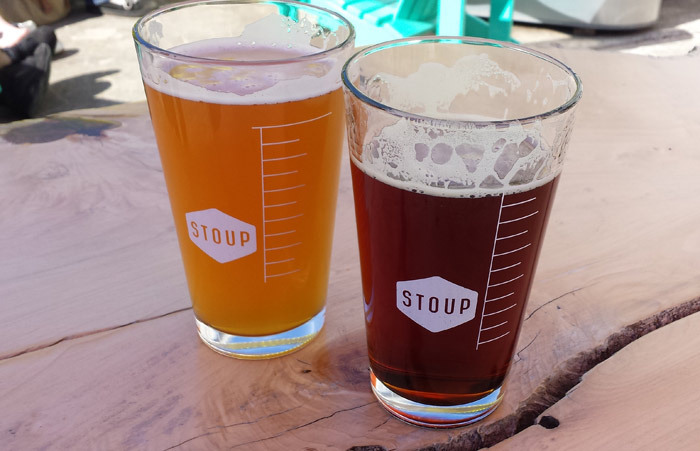 We often spent weekends slowly making our way on foot through the Ballard neighborhood, just north of downtown Seattle, visiting various breweries, like Stoup Brewing, Lucky Envelope, Populux and Peddlers. At many of these breweries, you can get either a pint of your favorite, or a taster tray, so you can try many different styles. Read about our 15 favorite breweries in Ballard. I always recommend traveling beer lovers to stay at one of the hotels in Ballard, if they’re planning to do beer tasting, because it’s by far the most convenient for proximity to breweries. You could really spend an entire 2-3 days visiting the breweries in Ballard alone. And there are at least a handful of other neighborhoods in Seattle where you can visit more than one brewery on foot. Two other favorites are SODO and downtown. Reuben’s Brews just relocated to a larger tasting room with outdoor seating! One of the most popular types of beer in Seattle is IPA, which is made with hops that are grown in the Pacific Northwest. The locals prefer beer that is bitter and hoppy, so the higher the IBUs (international bitterness units) the better. But there are also many beer lovers who don’t want their taste buds assaulted with all that hoppiness. This is where Seattle excels. Yes, you can find incredibly hoppy IPAs, like Stoup’s Citra IPA, Schooner Exact Hopvine IPA, and Pike Double IPA. But you can also find dozens of other, less hoppy beers. One of my favorite breweries for variety is Reuben’s Brews. They have at least 12 different styles on tap at any given time. You can get a taster tray of any that you want to try. I personally love the robust porter and the American brown. Portland was one of the first contenders on the craft beer scene, long before Seattle got on board. They have been pioneering the way for craft breweries around the world for decades. If you travel anywhere outside the United States for craft beer, many of the people you will meet in those breweries know all about Portland and its contribution to the beer world. Those same people may not even know that Seattle is equally as committed to craft beer. In terms of numbers, Portland may only (!) have 133 breweries – a couple dozen less than Seattle – but Oregon does have a whopping 6 breweries per capita, beating out Seattle. So, all things considered, Portland does have more breweries. There are a couple dozen more in the nearby Hood River area of Oregon that you should also check out. Portland loves its IPA, too. In fact, Portland was sort of where it all started for uber-hoppy IPAs and fresh-hops brewing. Once stuck in the trend to see who could make the most insanely hopped beer, thanks to the likes of Bridgeport (their IPA is fantastic), Portland has since cooled it on that front (thankfully) and have moved on to other pursuits. I like to see the variety of beer styles increase, and the overly hoppy beers decrease. You can easily find a vast array of styles at Portland breweries, including English-style ales, Belgiums, and even German-style wheat beers. Breakstone Brewery set a goal to brew 100 different beers in 2013, and successfully completed the task. Since Portland completely embraces its breweries, it’s a way of life for locals, who often have their favorite breweries and stick with them. However, you can visit specific areas of Portland and visit just about as many breweries and brewpubs as you can feasibly fit into one day. In Southeast Portland, you’ll find a dozen breweries and brewpubs within a few square blocks. Downtown Portland, for me, is always the best place to stay in Portland to be near everything. You can pretty easily walk to a number of the breweries from downtown, or take the MAX or a bus to Southeast Portland. Within walking/MAX distance you can hit up top breweries like Deschutes, Bridgeport, Hair of the Dog, 10 Barrel Brewing, Commons Brewing, and the Rogue Distillery & Public House. All of these breweries and pubs will give you a great sense of Portland’s contribution to craft beer. And you can fill up your growler to take home, while you’re at it. Well, what do you think? Who wins for best craft beer in the Pacific Northwest? Does Seattle or Portland win the craft beer battle? I think you really have to travel to both and see for yourself before you can decide. I will always think that Seattle has a slight lead, if not just due to the incredible views and scenery you will see while beer crawling around the city. But Portland is the undisputed pioneer. Do you have a preference for one city over the other? Let’s discuss in the comments. This post is part of Trip.Skyscanner.com’s Underdog City campaign. This entry was posted in Beer and tagged Portland, seattle. What’s Your Family Vacation Style? Beach Retreat or Theme Park?